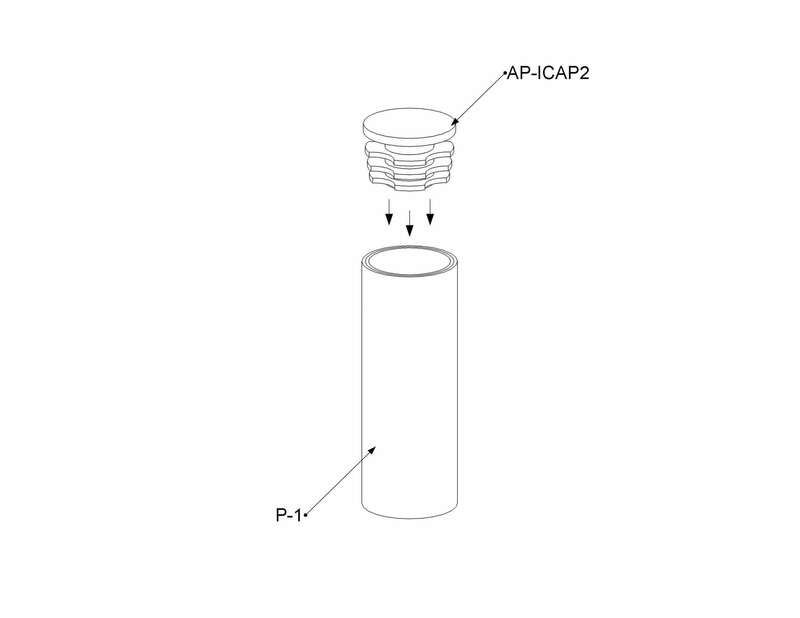 The AP-CNNCT is a metal extension that allows you to connect two pipes together. Flexpipe offers steel pipes 8 feet long because they are easier, faster, and cheaper to move and ship, but we also know that some of you want to build bigger structures and that 8-foot pipes are not long enough. The AP-CNNCT and the AP-CNNCT2 are the solutions to that problem. The extension is designed to provide a tight press fit effect. It is very hard to remove the AP-CNNCT once it is inserted in the pipes. When installed, the extension looks aesthetically pleasing and will never impact movement nor inhibit structural integrity. The AP-CNNCT is not just about building bigger structures. The metal accessories are also a good way to optimize the use of pipes. The connector lets you reuse your old pipes, which would otherwise be sent to the recycling. This technique could be economical if you manage your Flexpipe inventory well and reuse every Flexpipe part possible. Select the AP-CNNCT2 if you are using 28mm stainless steel pipes. This version will not work with the standard pipes, but will fit the inside diameter of the EP-96-ST perfectly. 3-Push completly the AP-CNNCT inside the P1 pipe with the help of a mallet. 4-Connect the P2 pipe on the remaining side of the AP-CNNCT.